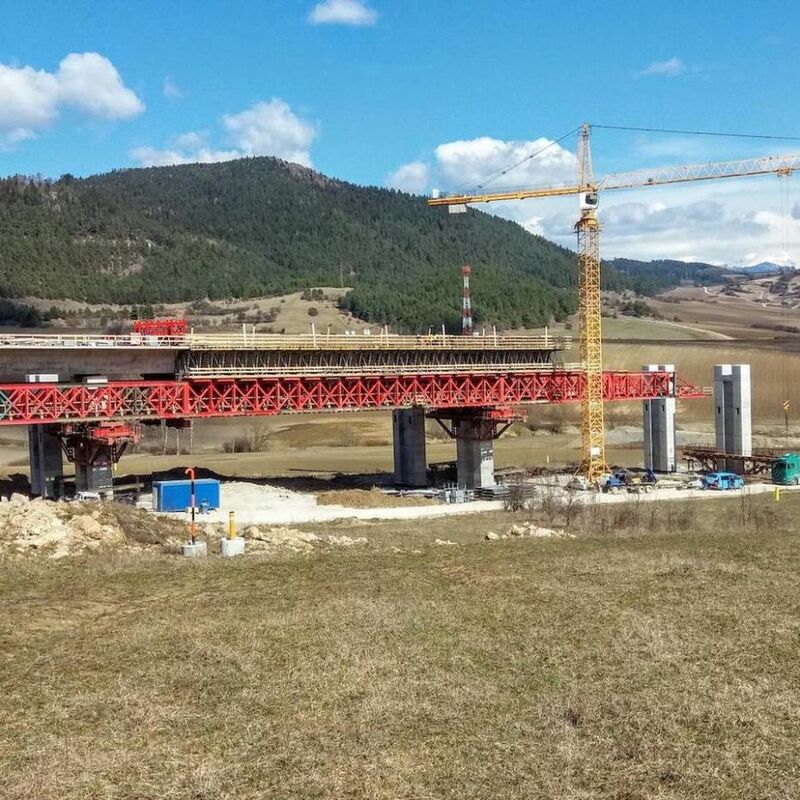 The operation of bridge technologies ensures the construction of motorway, road and railway bridges. 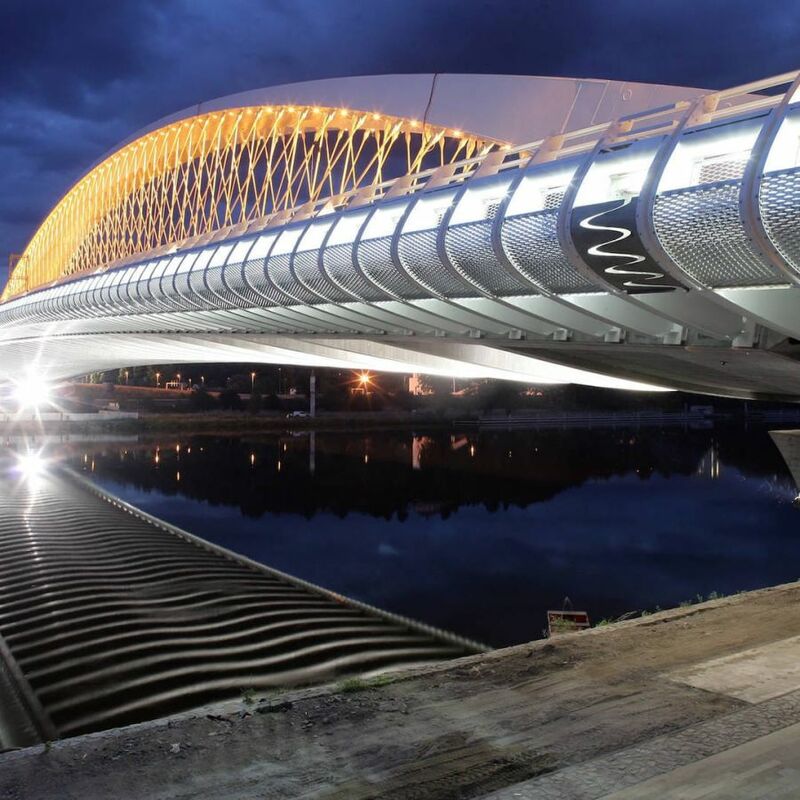 It offers complex services in a number of areas including casting of monolithic concrete structures, construction of composite steel-concrete bridges and the production and assembly of steel bridge structures. 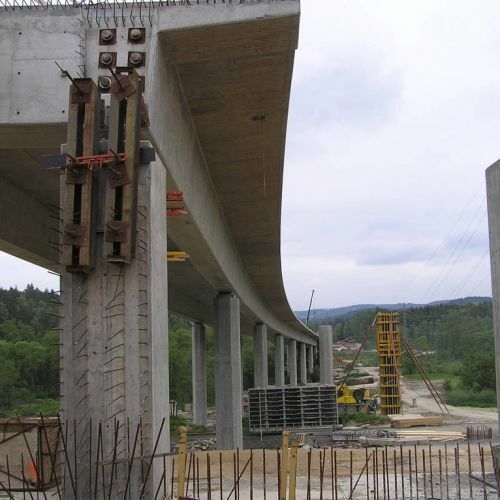 It has material for the construction of supporting structures and scaffoldings. Provision of temporary bridges is also part of the technology.